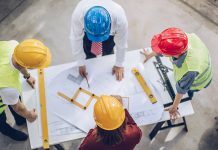 BUSINESS leaders are being encouraged to consider delivering meaningful change to their workforces by UK construction mental health charity Mates in Mind. Mates in Mind believes more must be done to achieve a fundamental change to workplace mental wellbeing, as the impact that mental ill-health poses UK workplaces is both widespread and complex. According to the Health and Safety Executive (HSE) in 2017/18 there were 15.4 million working days lost as a result of work-related stress anxiety or depression, up from 12.5 million in the previous year. This equates to 57.3 per cent of the 26.8 million work days lost to ill health. Luciana Berger MP, Johnny Mercer MP and Norman Lamb MP led a debate last week in the House of Commons for increased mental health awareness at work. The MP’s highlighted the work of Mates in Mind and similar charities nationwide. The charity now seeks to act upon the items added to the political agenda during last week’s debate, appealing to leaders across UK’s industries to take note of the growing evidence of need, and also the means by which to take action. This includes the standards recommended by the Stevenson/Farmer review of mental health and employers published in October 2017. Using such measures, as detailed within the ‘Thriving at Work’ report, and working in collaboration with industry partners, Mates in Mind has developed their mental health programme which embodies the principle that there is no health without mental health.